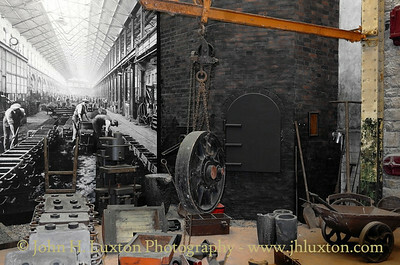 The excellent Great Western Railway Museum at Swindon which opened in 2000 located in "R Machine Shop" part of the former GWR Swindon Works. 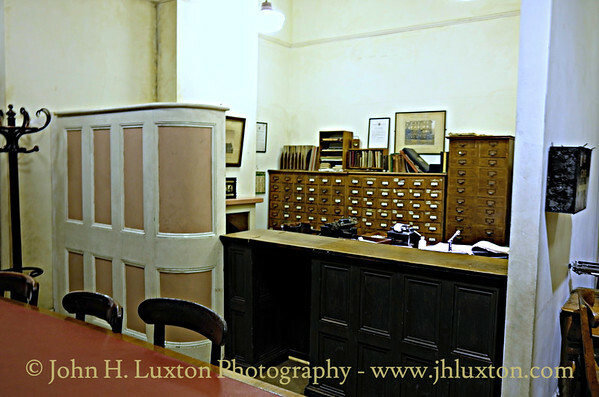 Other parts of the former works site have been redeveloped to uncorporate retail outlets and offices. 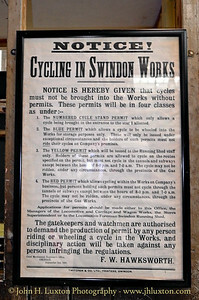 Swindon Works cycling permit notice. 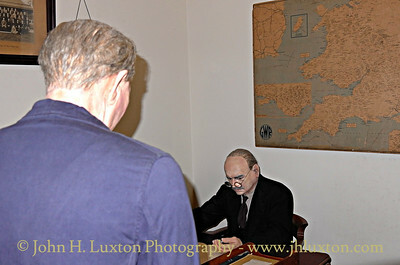 Cycling in the works was strictly controlled! 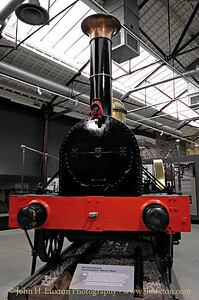 Great Western Railway Castle Class locomotive 4073 CAERPHILLY CASTLE at Steam - Museum of the Great Western Railway. 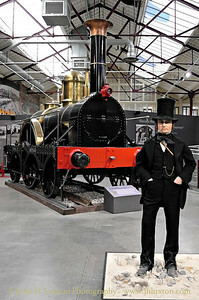 Isambard Kingdom Brunel stands in front of Great Western Railway broad gauge locomotive NORTH STAR a replica built at Swindon Works in 1923 using parts of the original locomotive scrapped in 1906. 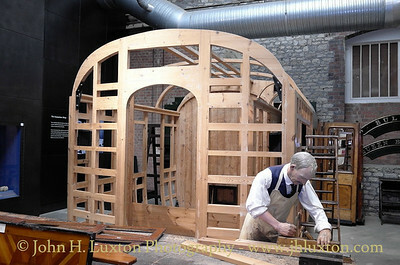 Great Western Railway broad gauge locomotive NORTH STAR replica built at Swindon Works in 1923 using parts of the original locomotive scrapped in 1906. 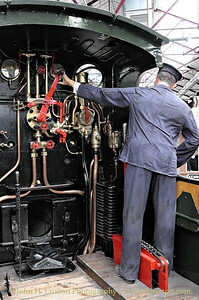 On the footplate of the Dean Goods locomotive. 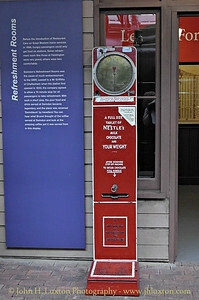 Today we would find the concept of weighing scales combined with a chocolate vending machine somewhat strange. 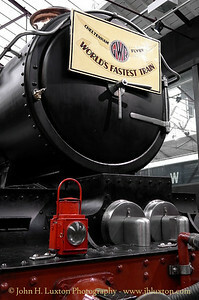 Here is an example of a machine from the GWR network which did just that! 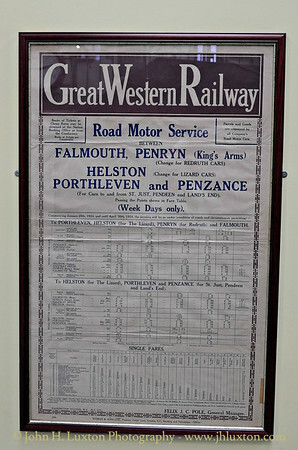 Great Western Railway Road Motor Services Timetable for Falmouth, Penryn, Helston, Porthleven and Penzance, Cornwall. 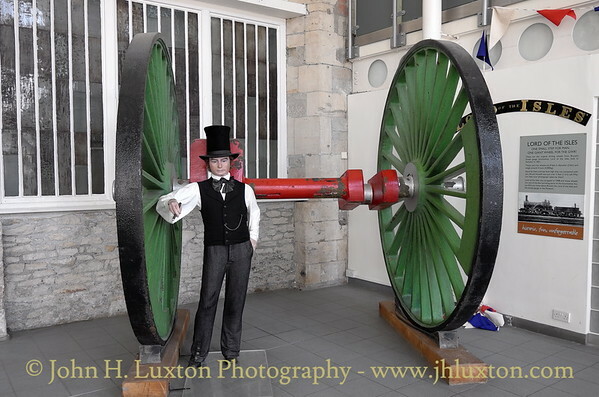 Isambard Kingdom Brunel stands by the unflanged driving wheels of the Great Western Railway broad gauge locomotive LORD OF THE ISLES. 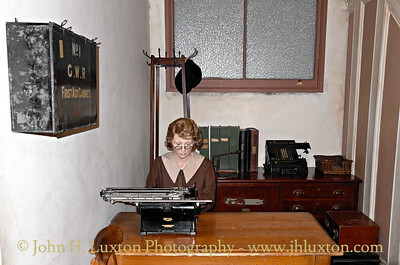 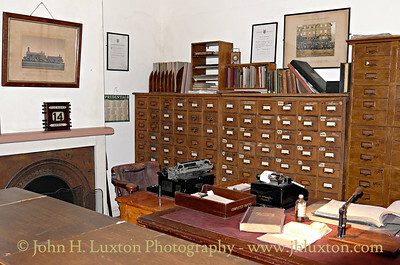 Swindon Works Offices reconstructed at Steam: The Museum of the Great Western Railway. 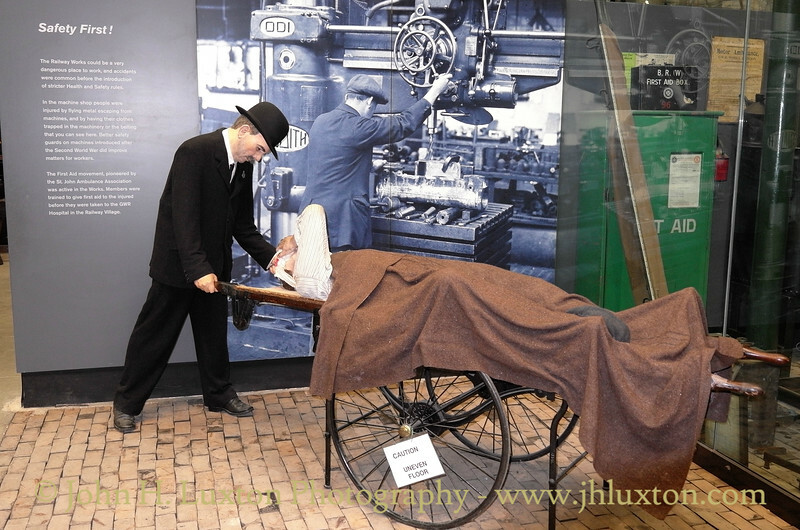 An employee finds himself "on the carpet" for being late to work. 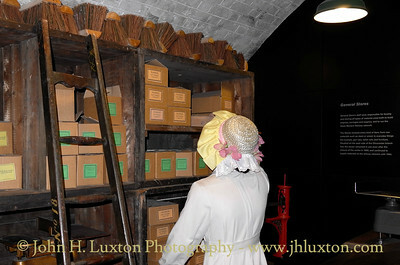 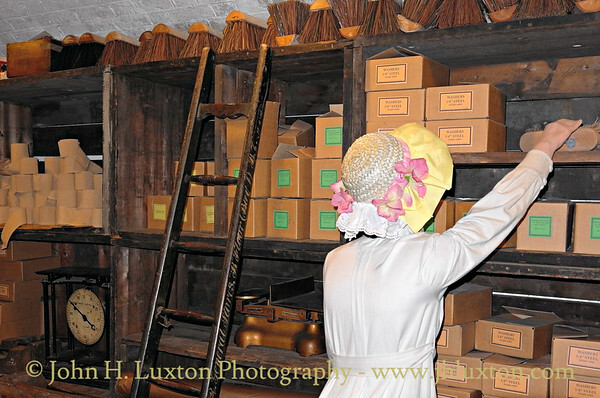 Reconstruction of Swindon Works General Stores. 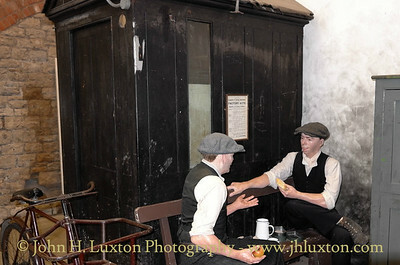 Swindon Works - Lunch Break. 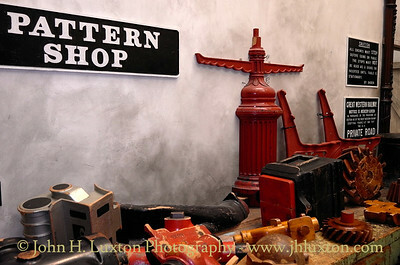 Samples of moulds constructed for the fabriction of cast iron signs, seats and other equipment. 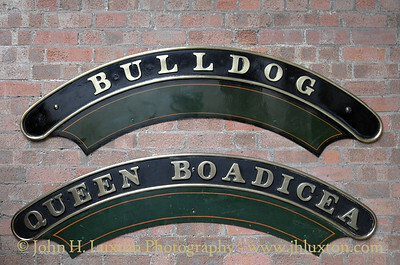 Number plate from Bulldog Class locomotive 3311 BULLDOG and Star Class 4040 QUEEN BOADICEA. 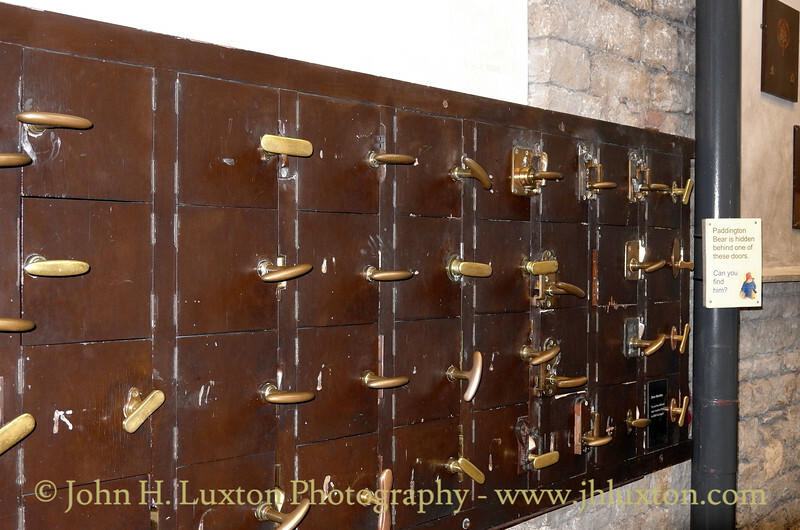 Different styles of GWR carriage door handles.